Using cloves for toothache pain is one of the easiest, most effective ways to relieve discomfort. It is important, however, to completely understand the potential dangers of this remedy. You should also see your dentist as soon as possible because the cloves will not heal the underlying problem. 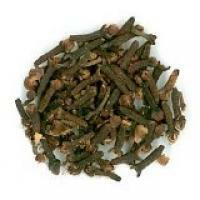 Cloves are spices used in a variety of cuisines, as well as in herbal medicine. Cloves add warm flavor to mulled drinks and chai, and they are an important and tasty ingredient used for making gingerbread and pickles. The clove tree is an evergreen tree, which is native to Indonesia. The leaves are large and oval in shape, and the tree produces a large number of crimson flowers. Harvesters collect the flower buds and dry them. These are the cloves you buy in the spice area of your local store. Cloves contain a very strong anesthetic chemical called eugenol. Eugenol is not only an anesthetic, which means it numbs the nerves and stops the pain, but it is antiseptic. This means it helps kill germs that may be contribute to an infection. Cloves are about 20 times richer in eugenol than other sources. Clove bud oil (eugenol) is listed in the U.S. Food and Drug Administration's Database of Select Committees on GRAS Substances. GRAS stands for "generally regarded as safe," and eugenol's inclusion on the list means that there is no evidence that its use could be hazardous to one's health. When you are using cloves for toothaches, any of these forms can be helpful. You may have to try a few different forms to see which you prefer. Most people keep cloves of this type in their kitchen pantry. To use ground cloves for tooth pain, take a pinch of the powder and place it between the area of the gum that hurts and the cheek. After a few moments the cloves will mix with saliva, and that part of your mouth will go numb. Hold whole cloves on toothache. Whole cloves are the dried buds of the clove tree. You can also be use these to relieve toothache pain. Simply take two or three cloves and hold them in your mouth by the sore area. After a few moments, they will begin to soften. You should chew them a little to soften them more. This allows the clove oils to be released and mix with your saliva. Leave the cloves in place for thirty to forty minutes and then remove them. Use as needed to relieve pain. You can find oil of cloves at most pharmacies, although you may need to ask the pharmacist for it. There are many over-the-counter toothache remedies that contain clove oil (eugenol), so look for it on the ingredients list before you make your purchase. Because clove oil is a natural product, you may also find that your favorite health food stores and co-ops carry it in their essential oils department. Clove oil is a strong anesthetic, and doctors and dentists have used it for many years. 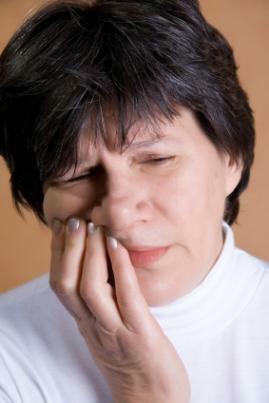 It does not take much of the oil to take care of toothache pain. To use oil of cloves straight from the bottle, you can dip a cotton swab in the oil and then carefully rub the swab around the painful area. This is especially effective if you experience pain from an exposed nerve. In this case, try to get the clove oil right on the nerve itself, placing the swab inside the cavity. Rinse your mouth with warm Listerine or salt water. Mix a few drops of clove oil with a half teaspoon of olive oil. Soak a cotton ball in this mixture and hold it on the affected tooth. Use clove oil with caution as it may cause burns. Also, according to this PDF download of the Material Safety Data Sheet (MSDS), it might be lethal in large oral doses. In addition, children under the age of two should not use this product topically or take it orally. Diabetics, pregnant women or individuals who use blood thinners should only use eugenol based on advice from their healthcare professional. All of these problems will need the care of a dentist. Having clove oil on hand for dental emergencies is a great way to stay comfortable until your dentist can fix the underlying problem or refer you to another healthcare professional for follow-up care. While clove oil is considered to be a safe herbal remedy, remember that pain is a warning sign that something is wrong. Using the clove oil may make the pain go away, but there is a danger in treating the symptom (pain) without discovering the root cause. It's always best to seek the advice of a healthcare professional to make sure that there aren't more serious problems with which to contend, as tooth pain can be a symptom of other diseases such as angina, heart attack or sinus infections or ear infections.